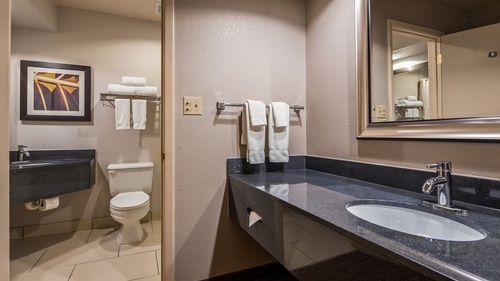 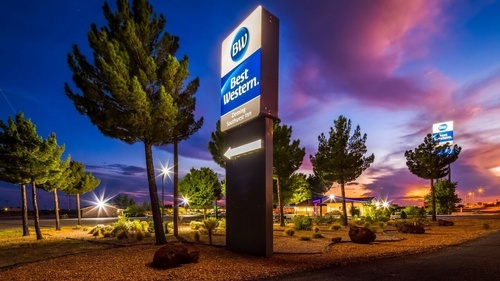 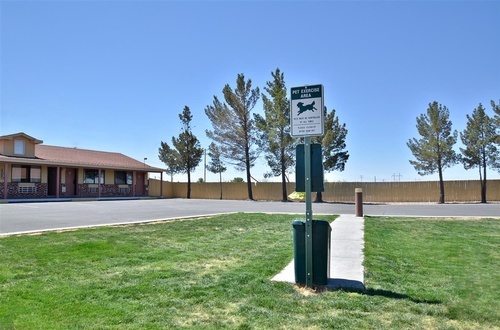 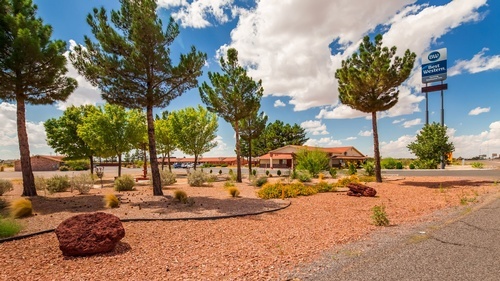 The Best Western Deming Southwest Inn is easy to spot, located directly off Interstate10 at Exit 81. 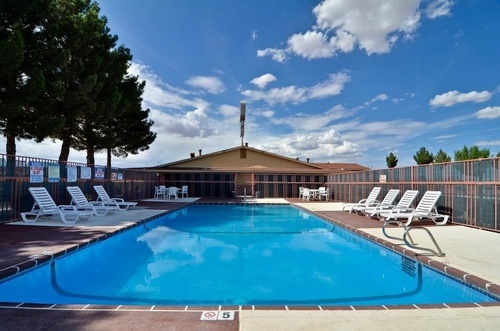 Ideally situated between Los Angeles, CA & Dallas, TX; Deming is home to gorgeous sunsets and a number of unique attractions including City of Rocks State Park, Rockhound State Park, award-winning wines at St. Clair Winery and the Luna Rossa Winery and Tasting Room is only 2 miles along the Interstate Service Road from the hotel, 18 holes at the Rio Mimbres Golf Course, the amphitheater at Voiers Pit Park, Starmax Family Fun Center which includes a movie theater, sports bar & grill, arcade and bowling alley, as well as our beautiful historic Downtown dating back to 1881 and the Deming Luna Mimbres Museum. 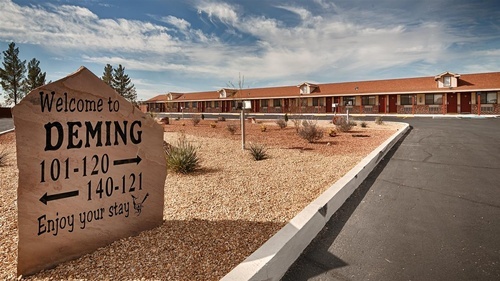 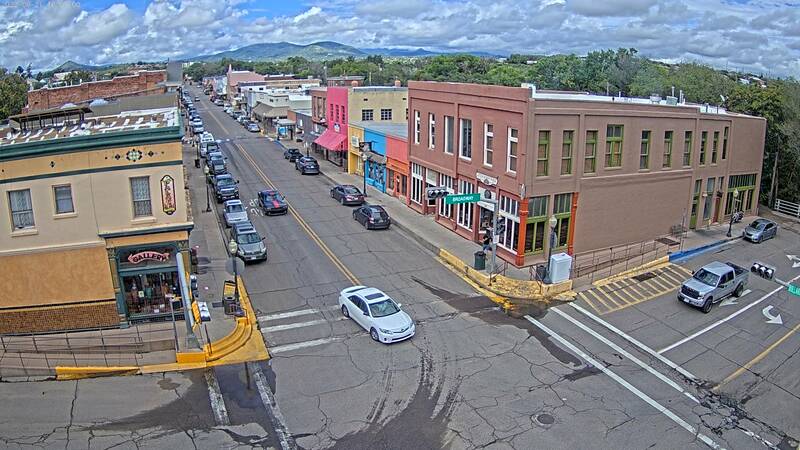 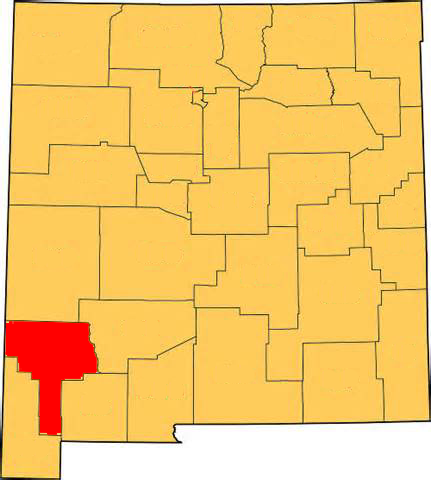 Scenic Deming also features over 25 wonderful restaurants offering the finest in Mexican and American foods. 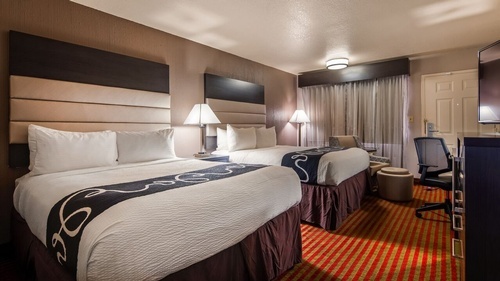 Our ground-floor guest rooms offer spacious comfort at a great price. 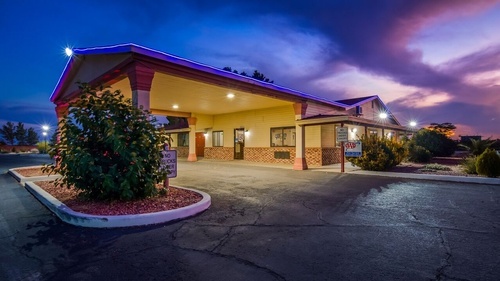 Featuring air conditioning, a comfortable work-space, satellite TV, and free wireless high-speed Internet, each room offers all the amenities one has come to expect from Best Western hotels; microwave, refrigerator, iron & ironing board, and single serve coffee maker. 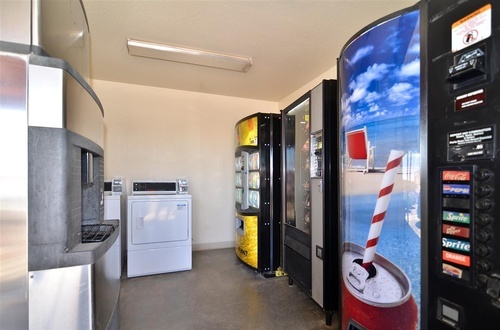 Additional on-site amenities include a coin-laundromat, business center, and an outdoor swimming pool. 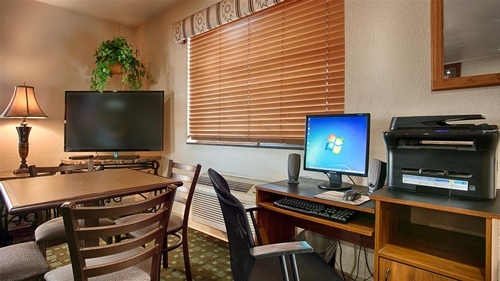 Our business center features satellite TV, a guest computer with high-speed Internet and fax machine. 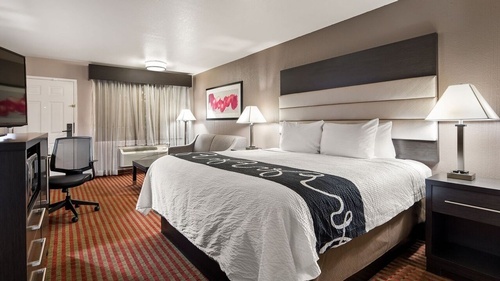 It's the perfect climate-controlled environment to send emails, make that business call, or simply unwind before retiring to your room for the evening.